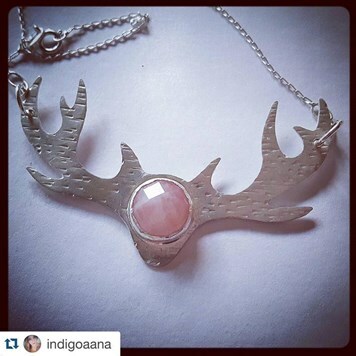 Over the last year, we've showcased a different customer's jewellery designs every week for our #MondayMake feature. It's a feature we love, as we get to see what you're making with our favourite gemstones and show the world how talented you all are! 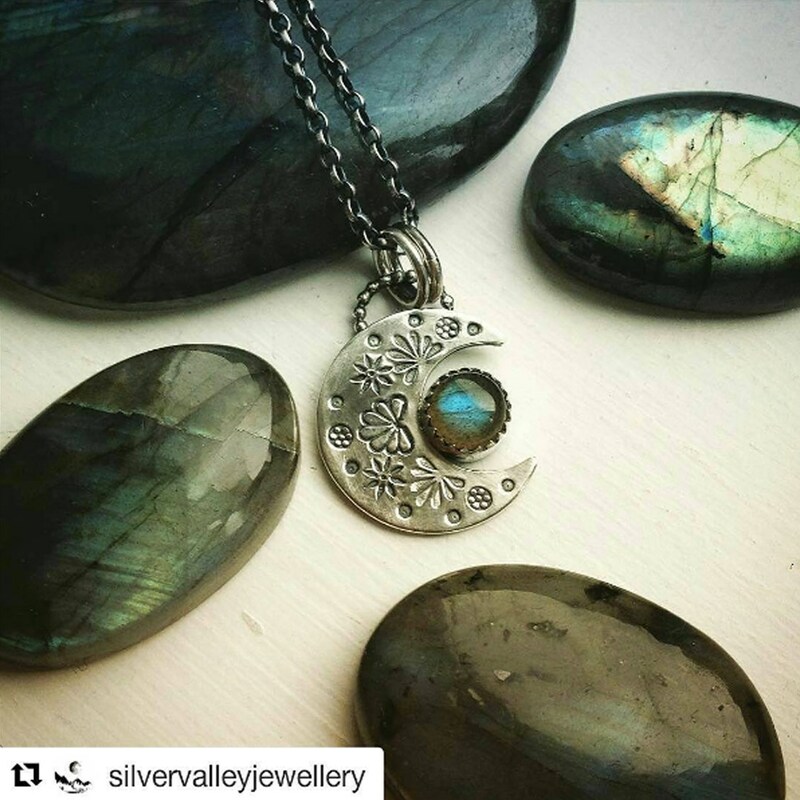 This sterling silver and Labradorite pendant by Silver Valley Jewellery is right on trend. They have used our serrated edge bezel cups to create a contemporary finish to the setting style. 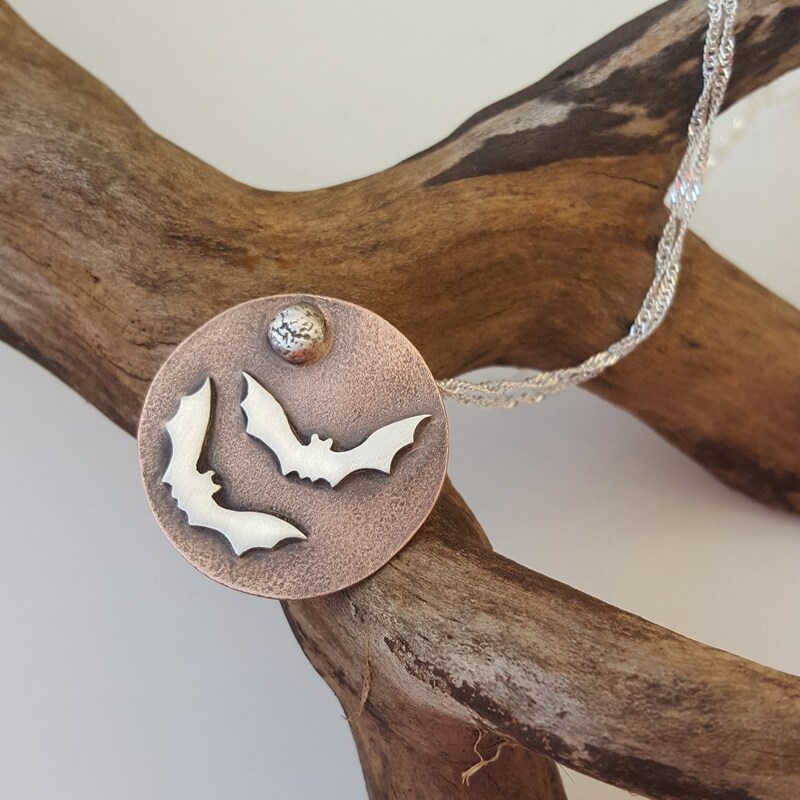 Themed jewellery is a great way of experimenting with alternative styles. This pendant by Anna Ancell shows how metals like copper can add a lovely contrast when paired with silver. Mokume Gane showcases this contrast with fantastic woodgrain patterns. Liver of Sulphur can also be used to darken metals to create more contrast. 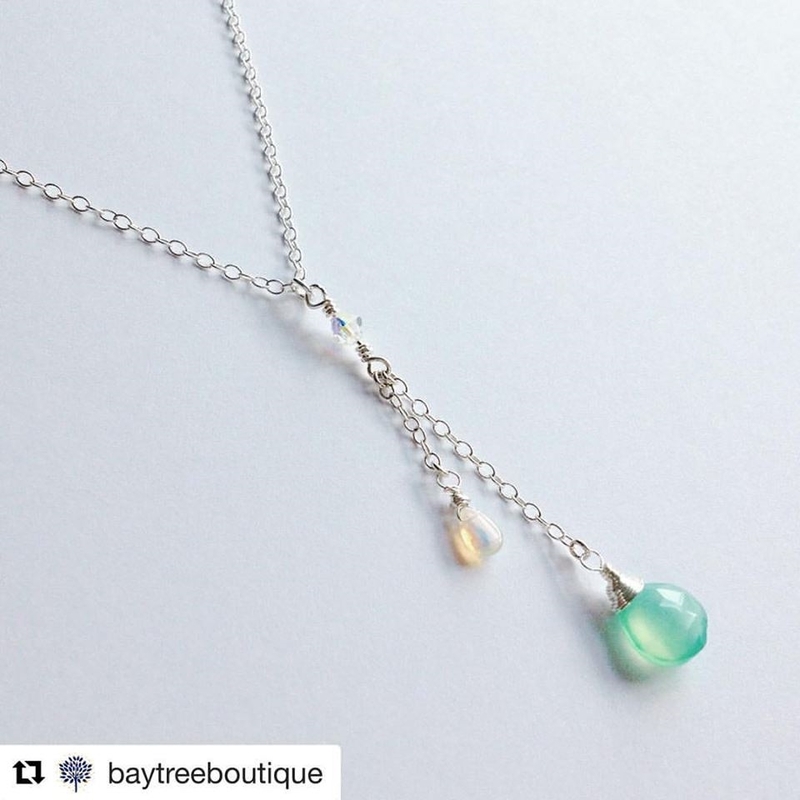 Briolette jewellery has been so popular this year & in 2016 we expanded our range of briolettes to include even more gemstones. 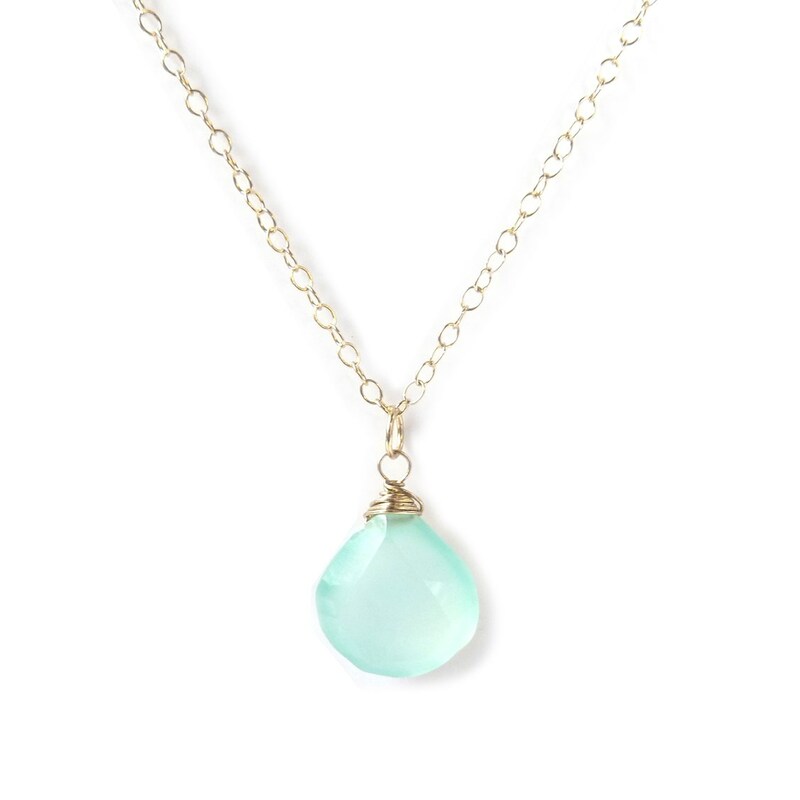 Aqua chalcedony has been a constant favourite amongst customers. 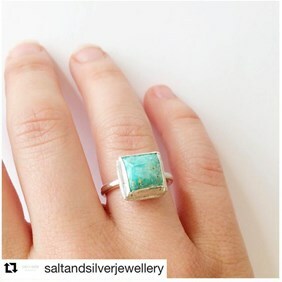 Monique J-Jones is a jeweller based in Cornwall, having completed her degree in Silversmithing & Jewellery she won the prize we sponsor each year at the Truro College end of year exhibition. 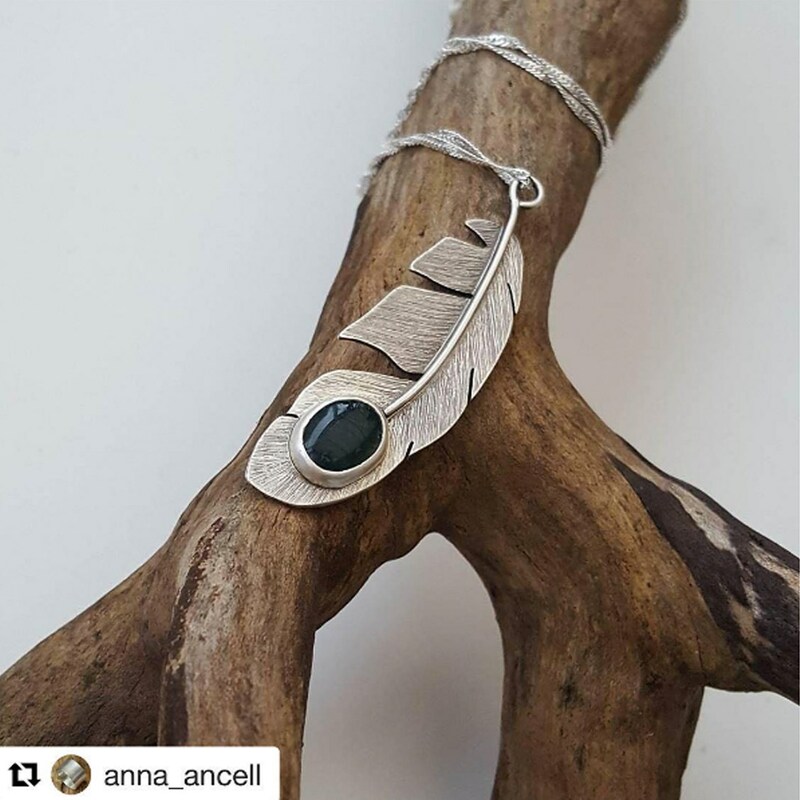 Her collection was inspired by the patterns and textures of the landscape, many of her pieces also include oxidised silver to create contrast. 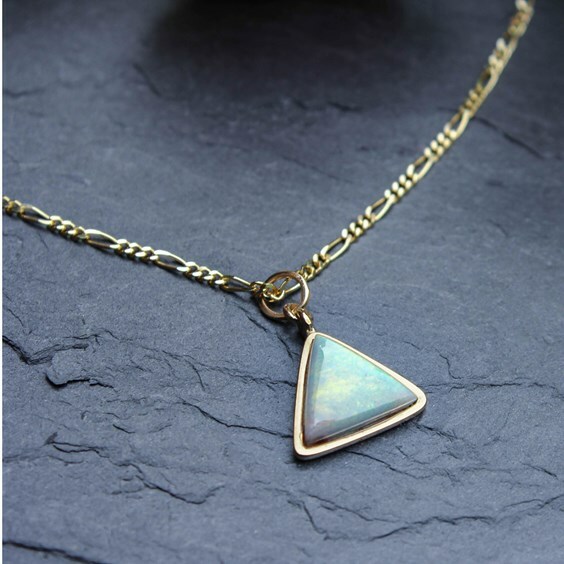 Pink at Dusk demonstrates how creating your own settings can be really effective, with this fantastic triangular Lightning Ridge opal. Follow our step by step to try making this style of setting yourself or watch the video above. This 'Make the Look' project created by the Kernowcraft design team was a summer favourite and featured in a post we did on festival jewellery. 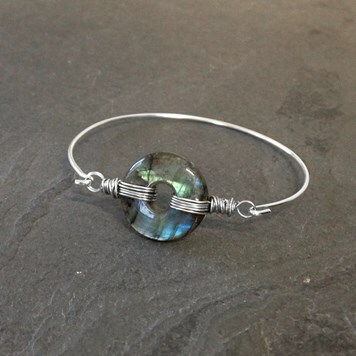 These labradorite donuts are particularly flashy and look beautiful in this wire wrapping 'Make the Look' project. Labradorite is one of our most popular gems and a firm favourite with Kernowcraft staff as well. Diamonds proved a firm favourite this year! 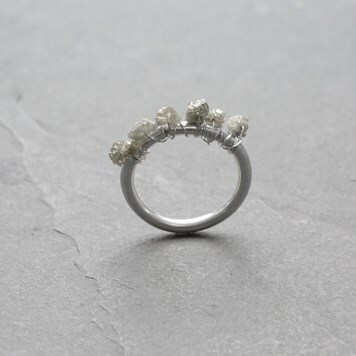 Everything from un-drilled cubes which many people set in claw setting style stacking rings and rose cut cabochons which make a nice modern alternative to the typical faceted diamond look. 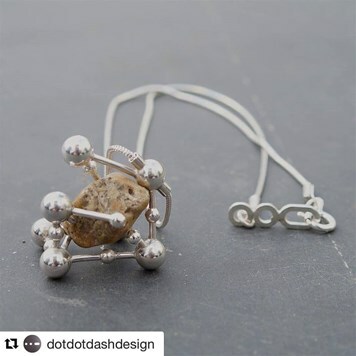 This 'Make the Look' project uses our rough diamond nugget beads and a simple wire wrapping technique. 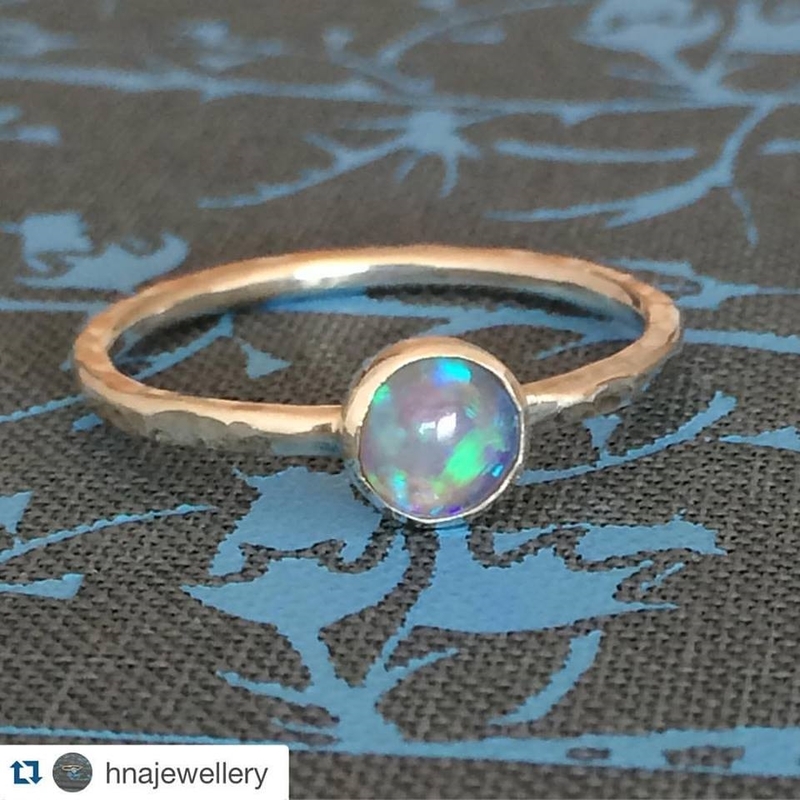 This ring by Jenny at Sea Surf Rocks showcases beautifully one of our unique Australian opals. 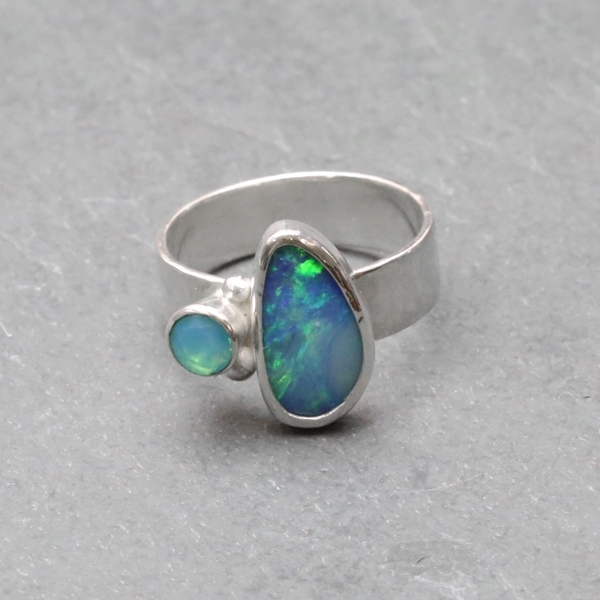 Find out all about Australian Boulder opals and see why we love them so much with our fantastic Boulder opal collection. 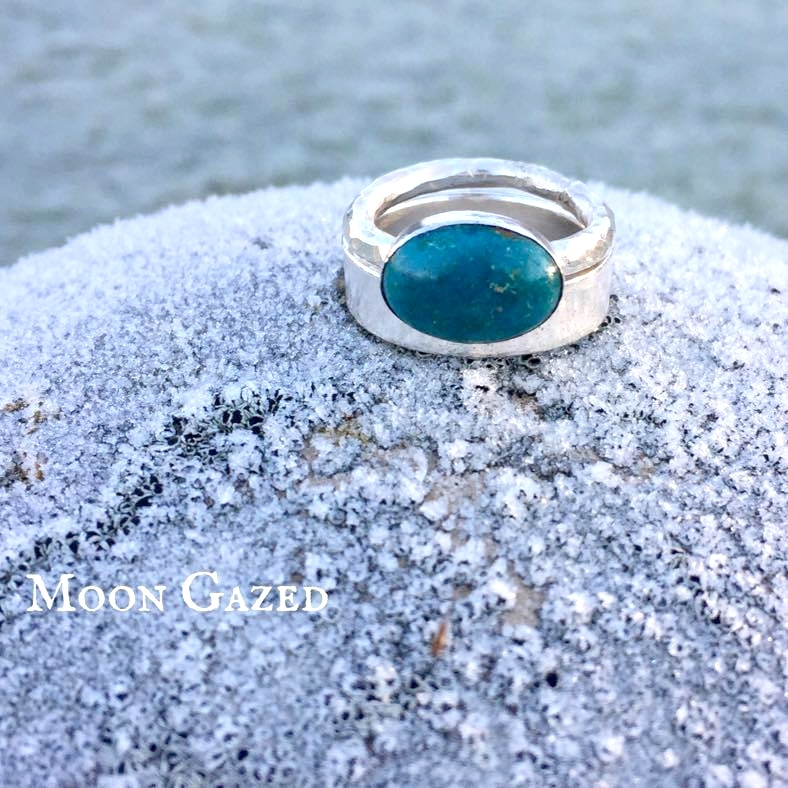 We were really excited to source a fantastic range of natural untreated Turquoise this year from both Colorado and Persia. We love this ring that Salt and silver jewellery created with one of our calibrated turquoise cabochons. 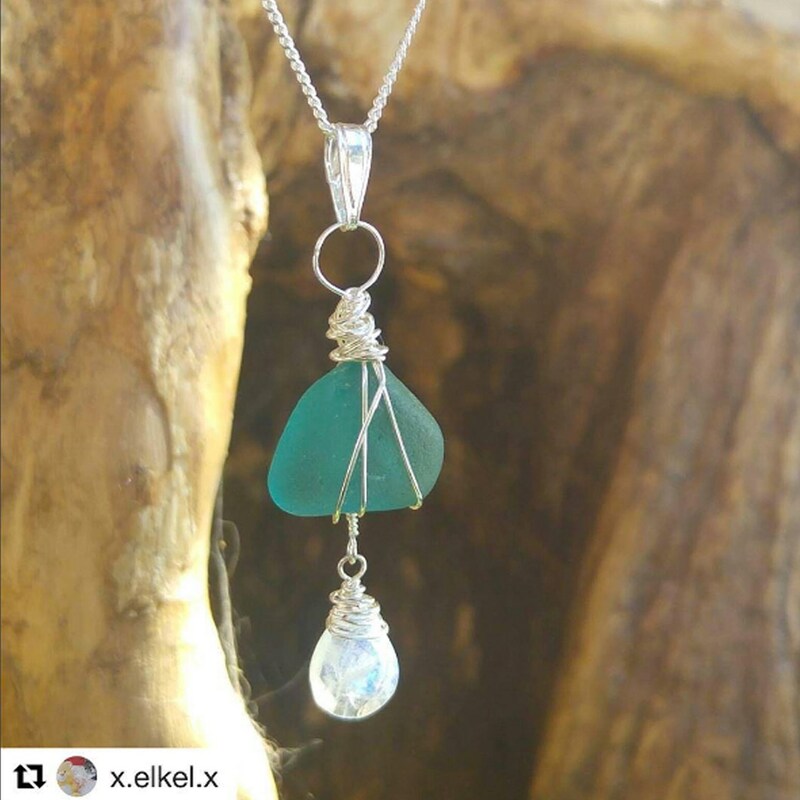 Sea glass has proved ever popular in jewellery making this year with many turning their beach finds into stunning pieces of jewellery with the help of diamond coated drill bits and sterling silver wire to secure the glass into a pendant design. 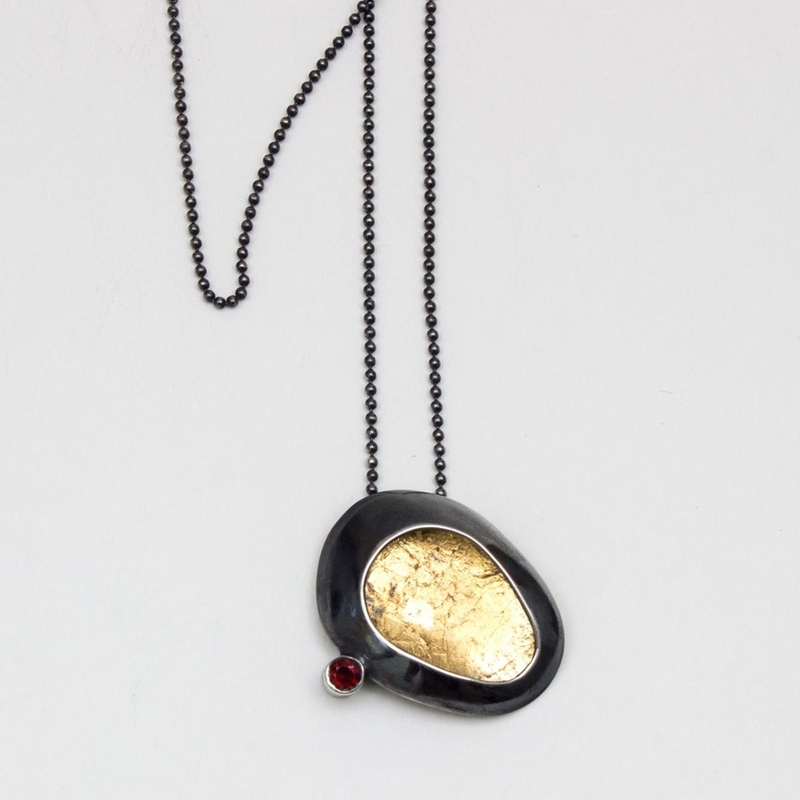 We are always getting in exciting new limited edition stones to add to our wide selection gemstones. 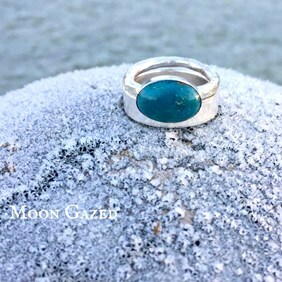 This Chrysocolla & sterling silver ring by Moongazed Jewellery has used one of our lovely chrysocolla cabochons. 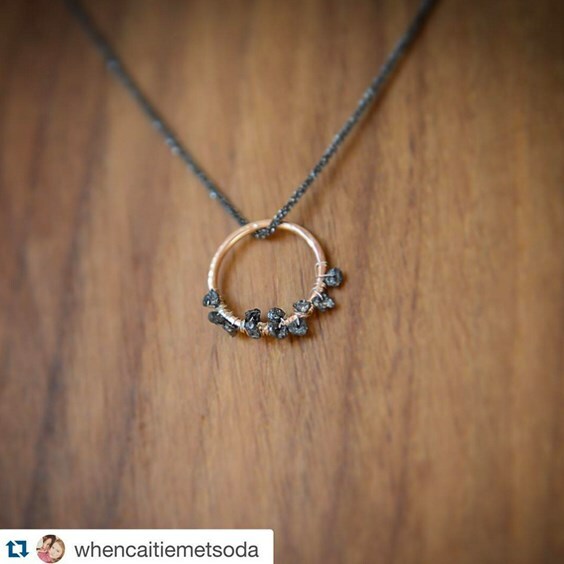 When Caitie Met Soda has used our black nugget diamond beads for this design and combined them with our super sparkly oxidized sterling silver diamond rope chain - this is a lovely alternative to most sterling silver chains and the way it is cut really makes it twinkle as it catches the light. 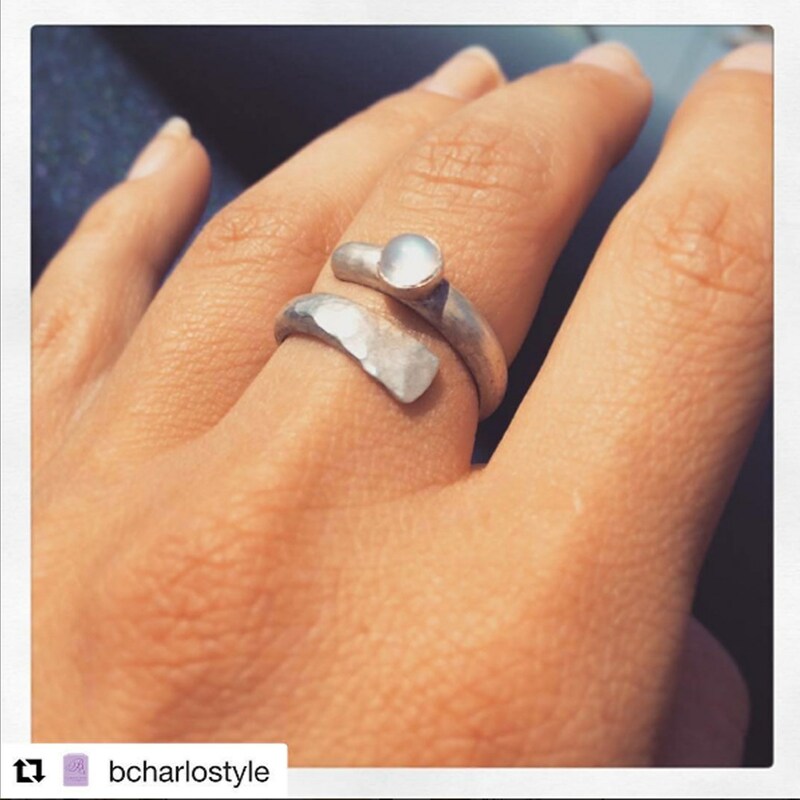 My absolute passion is piercing and I love nothing better than a session in the workshop hand sawing pieces from sheet sterling silver. I enjoy the challenge of custom work and working with a customer's ideas to create something truly special. Bay Tree Boutique has created this pretty briolette lariat necklace using a wire wrapping technique. 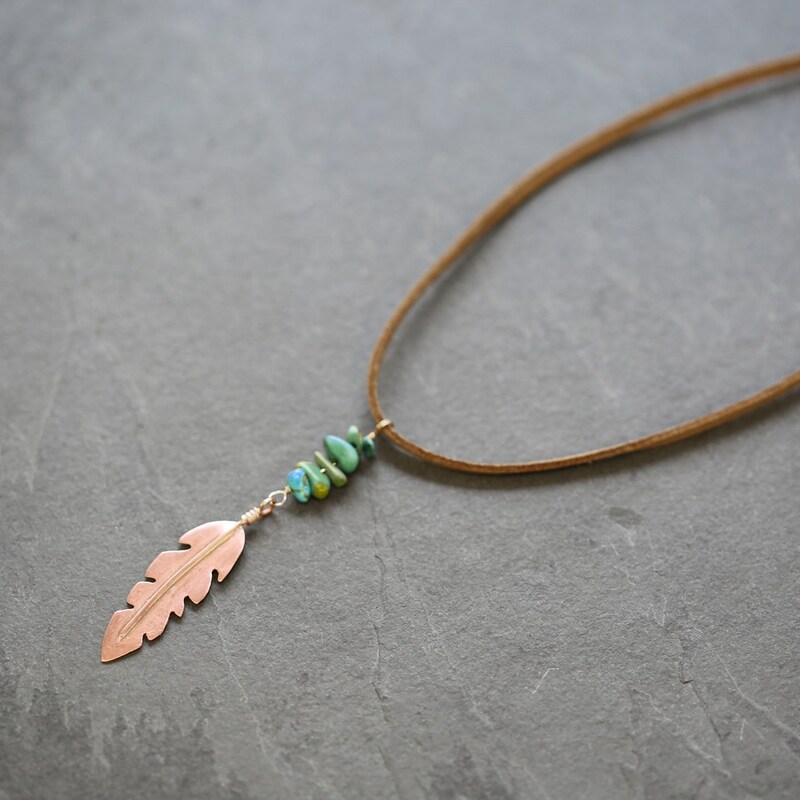 It shows how effective using just a few carefully selected stones can be; with our step by step wire wrapping tutorials it's never been easier. 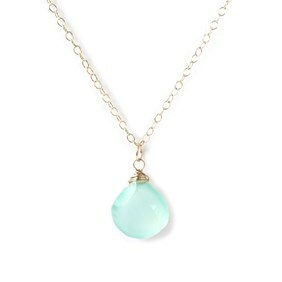 Here Liz has opted for opal and aqua chalcedony. 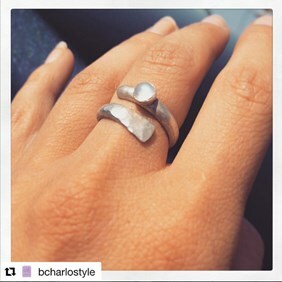 B Charlo Style has used one of our ready made bezel cups set with a lovely blue flash rainbow moonstone to this hammered adjustable ring design. Bezel cups are a real time saver when making jewellery particularly with small stone settings. Pink At Dusk has created these beautiful rose quartz and gold pieces using our Tapered sets and gemstone donuts. Follow our Make the look project to make your own tapered gemstone necklace. 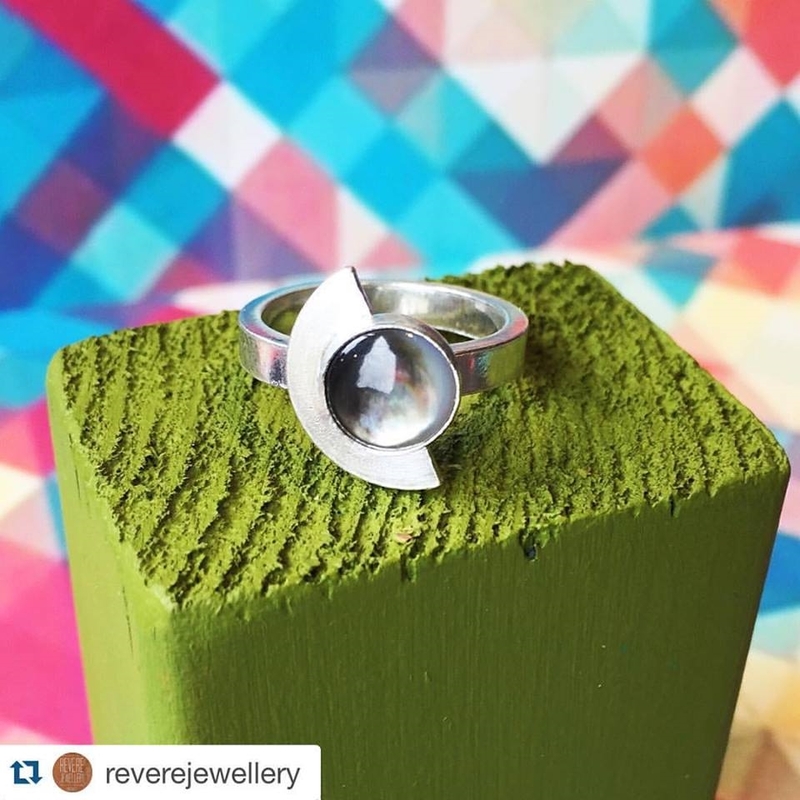 Our range of pre-made settings have made adding a colourful splash of gems to you pieces even easier. The Perpetual Maker has used our wraptite setting here to create these stunning earrings set with kaledescope pink quartz faceted stones, these stones are particularly lovely, as their name suggests they flash iridescent colours of pink, violet and even green with movement. We also have similar iridescent stones in other colours available here. 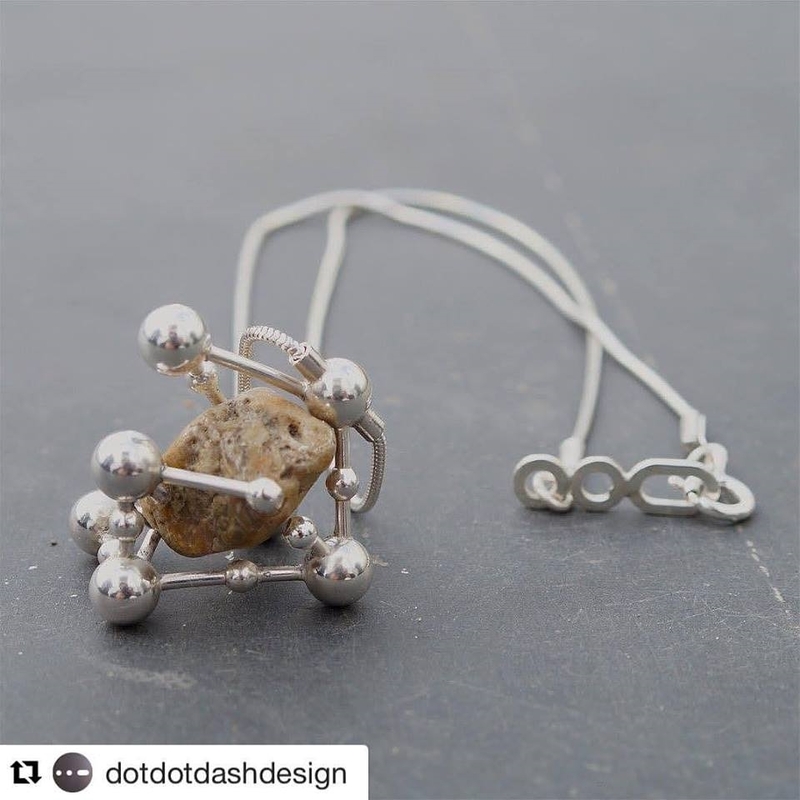 Dot Dot Dash has created this unusual setting to encompass their free form gemstone. 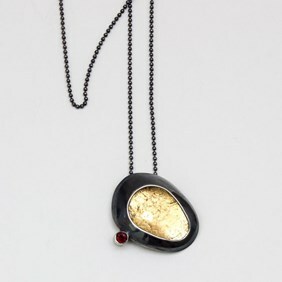 Our spiral pendants are a great way of housing non standard shaped stones like tumble stones and beach glass. Emily from Revere Jewellery has used one of our iridescent Black Lip Pearl cabochons to create this beautiful sterling silver ring, her inspiration for her designs comes from her love of geometric shapes and patterns. 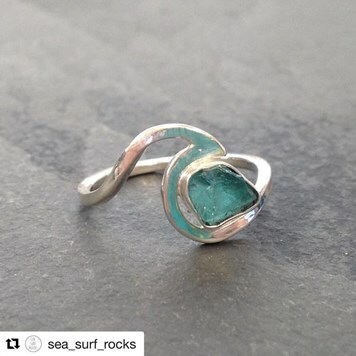 Sea Surf Rocks has bezel set one of our apatite rough crystals in this ocean inspired wave design. 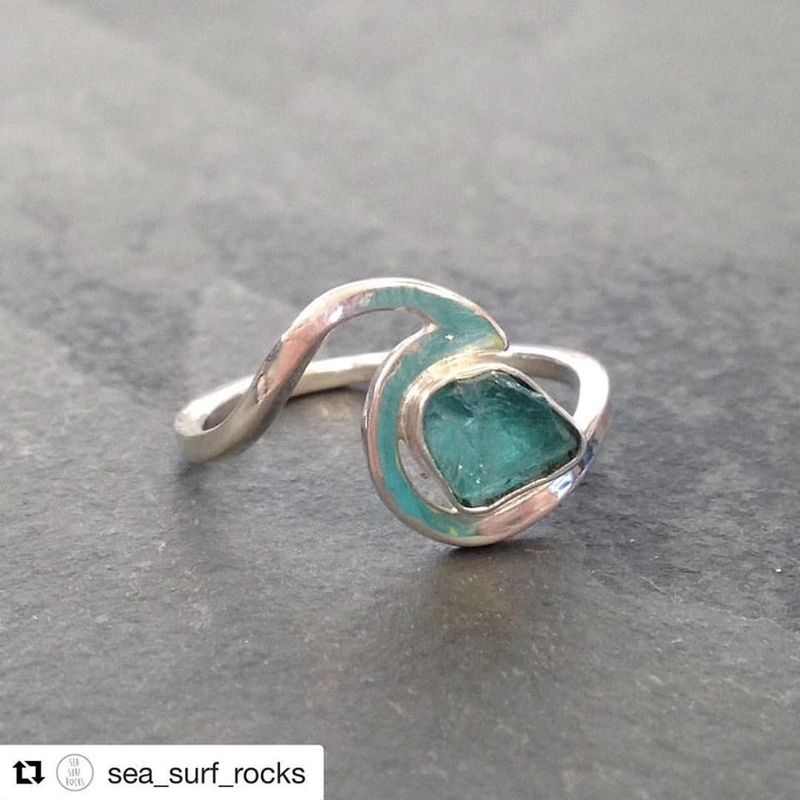 If you'd like to create your own custom settings for stones, take a look at our jewellery advice pages , as they have some great info on different ways of setting stones. We love these cute copper and silver bangles by Genny Wren Silver. 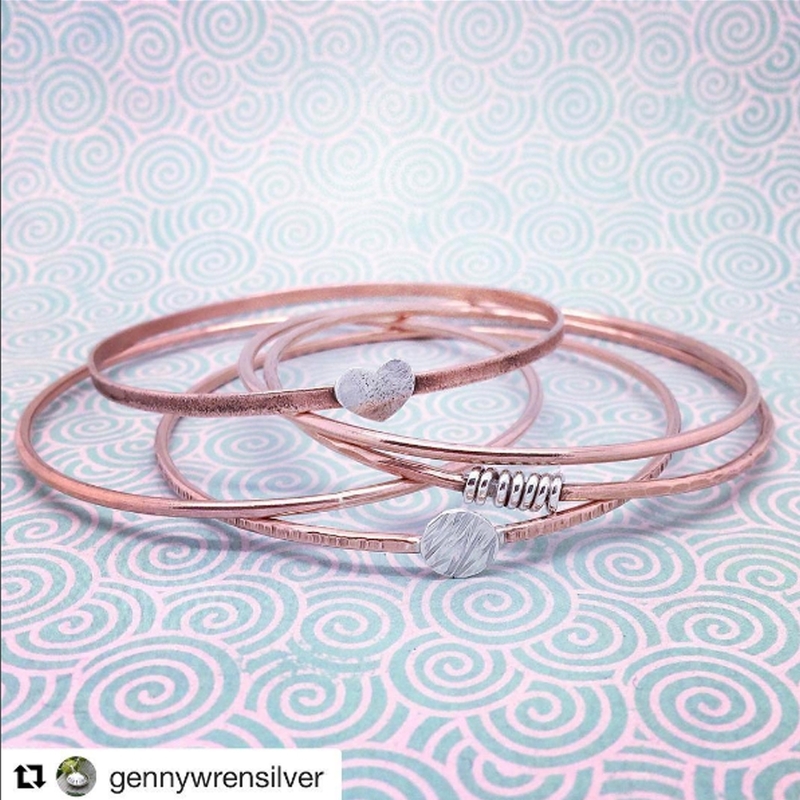 Using copper wire rather than sterling silver is a great way to practice and experiment without the price tag that comes with silver. You may wish to protect your designs from oxidisation using renaissance wax or Midas finish seal lacquer which will preserve the high shine polish and prevent the copper from turning your skin green when worn in close contact. 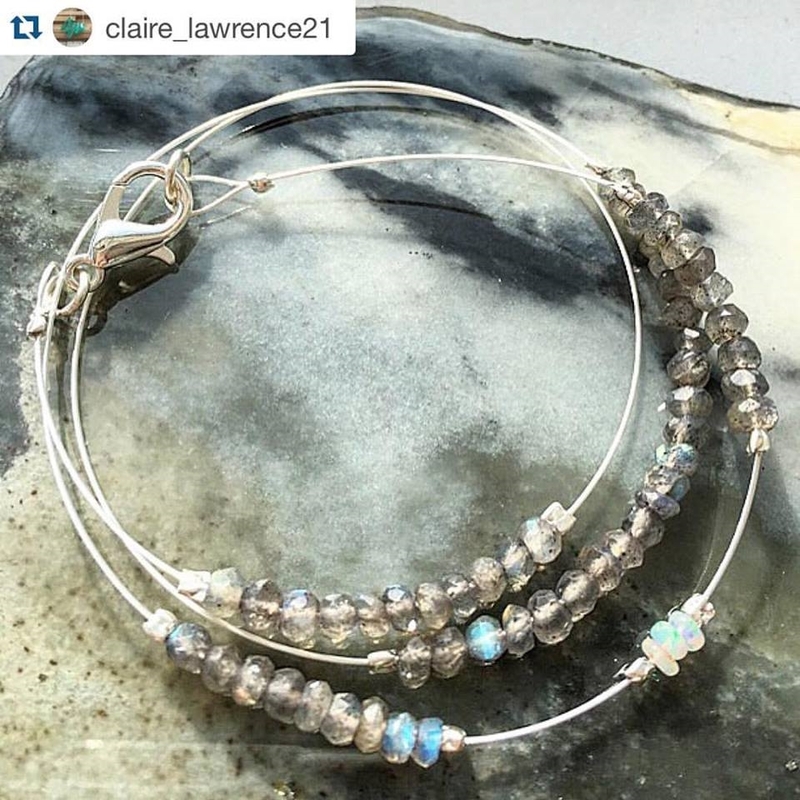 Clare Lawrence has created her own version of one of our make the look projects with some flashy labradorite faceted rondelle beads and flex-rite jewellery wire. Flex-rite is a brilliant choice for making necklaces and bracelets as it is flexible and incredibly strong and easy to finish with crimps and necklet ends. Pink At Dusk has used small bell caps in this design to mount the natural pink pearls. 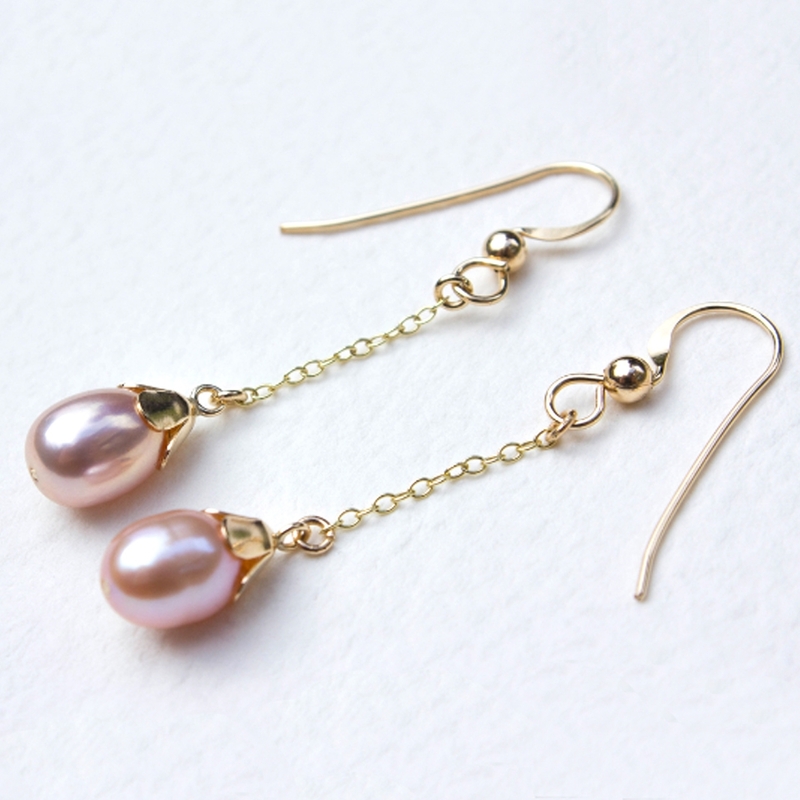 They're great for using with teardrop shaped gems, pearls and briolettes to create a professional looking finish. 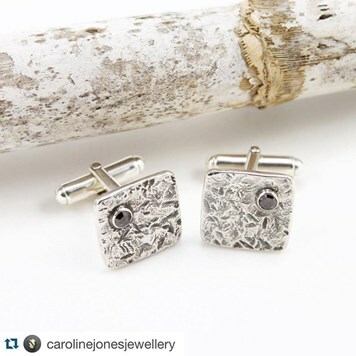 Caroline Jones has used Liver of sulphur to accent the hammered texture on these sterling silver cuff links with small bezel set rose cut black diamond cabochons. 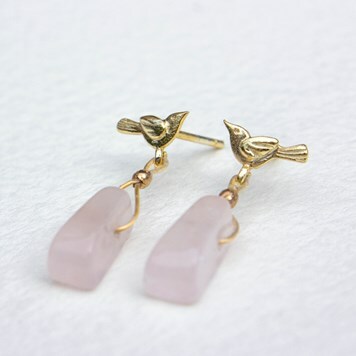 These little rose quartz earrings by Pink At Dusk have used two of the smaller beads from our rose quartz tapered set and added them to some of the 14ct gold vermeil bird earstuds. 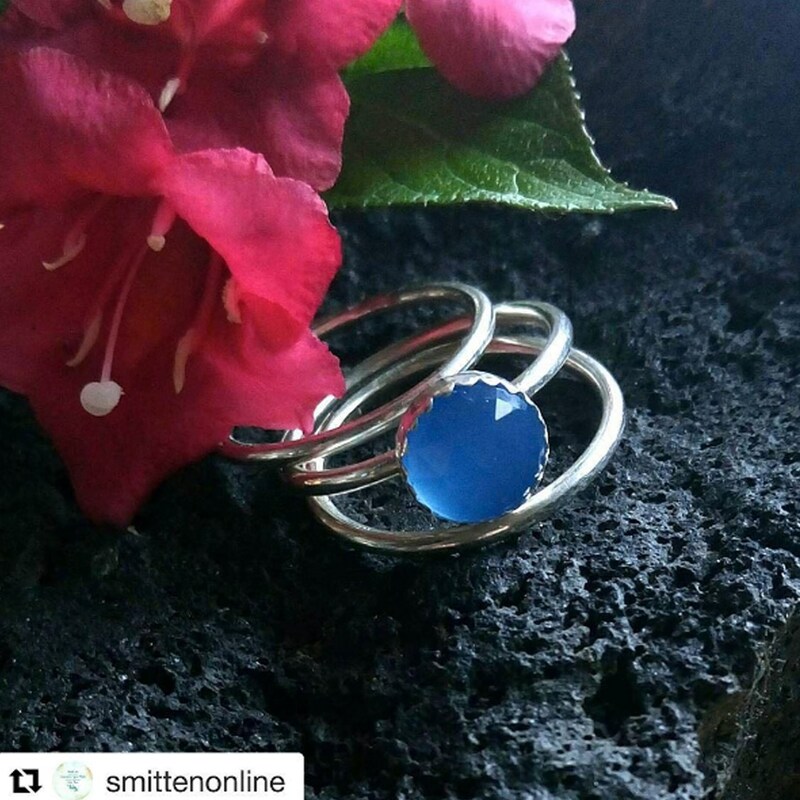 Smitten By Jacqueline has used one of our chalcedony rose cut cabochons to create this stacking ring set. The facets on these cabochons really make for a beautiful design and this cut has become increasingly popular this year. 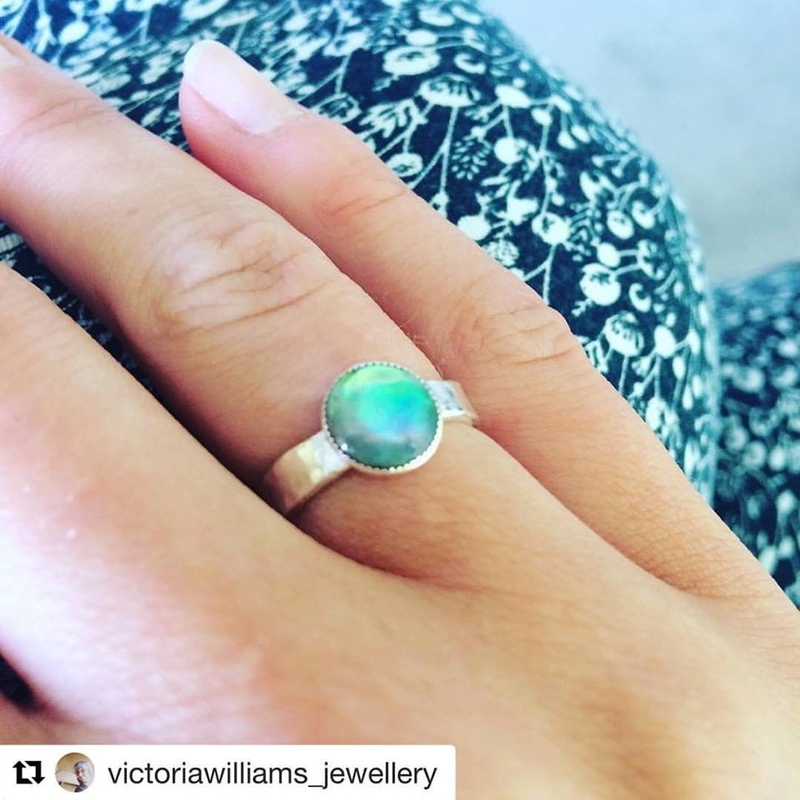 We love this natural paua shell ring by Victoria Williams. 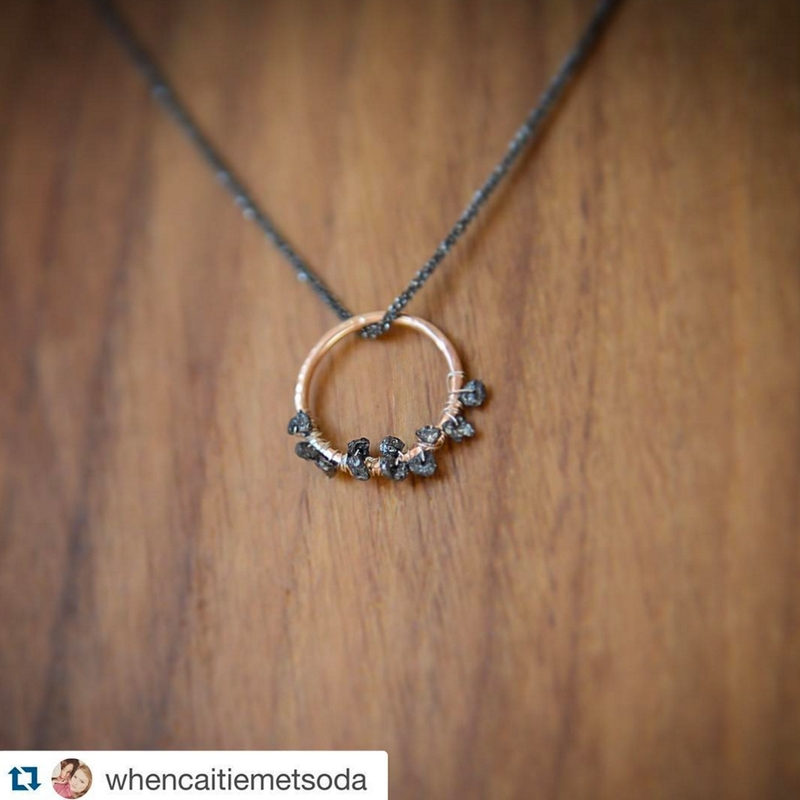 Learn how to make your own bezel cup ring with our make the look project. 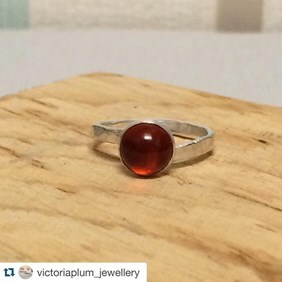 This sterling silver and Amber cabochon ring by Victoria Plum jewellery is proof that simple design and a great gemstone makes for a stunning finished piece. We have a great choice of both faceted and cabochons Ethiopian opal to choose from, Hna jewellery has chosen one beautiful 5mm cabochons as the star of this ring. Indigoanna shows off her piercing saw skills with this intricate antler necklace design. 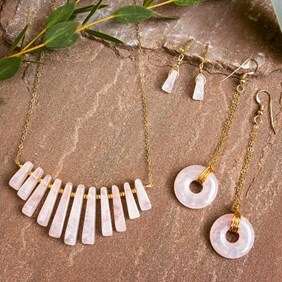 She's also used one of our lovely checker cut rose quartz as her focal stone. 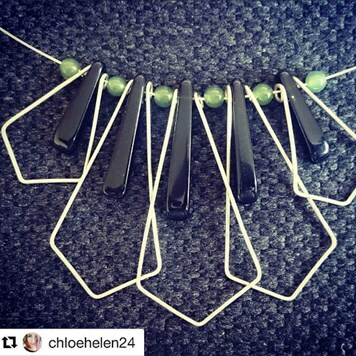 Chloe Helen has created her own take on our geometric necklace make the look project, we think it looks great with her choice of gemstones. 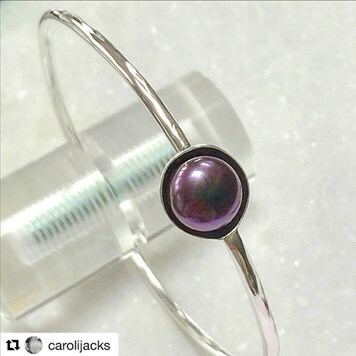 Carol Jacks has used one of our 10mm peacock button pearls in this elegant bangle design. 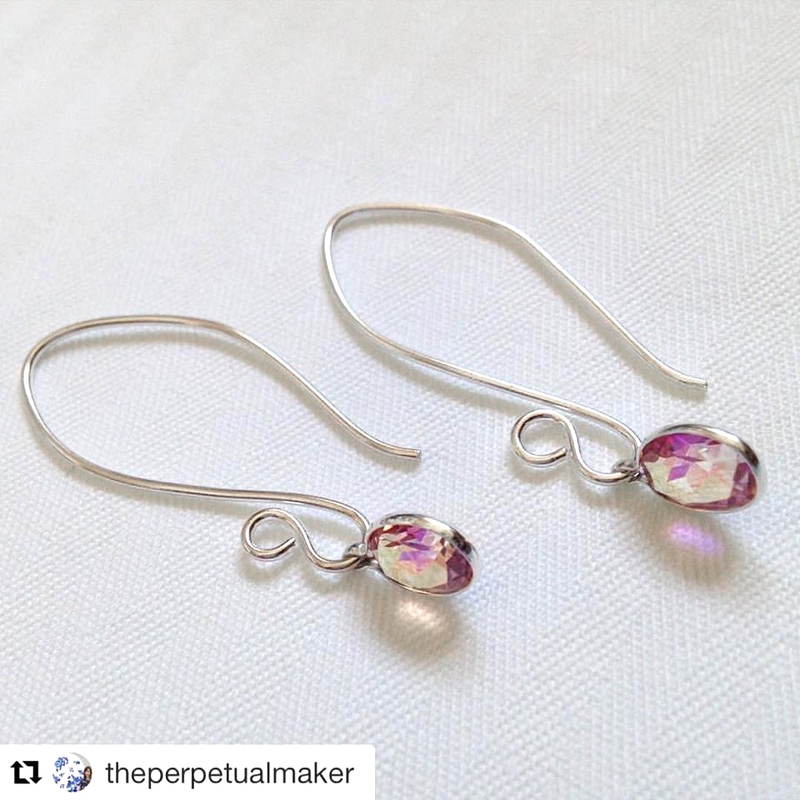 Half drilled freshwater pearls are really popular and a nice easy style of stone for setting for many different designs as well as earrings which is how they are most often used.